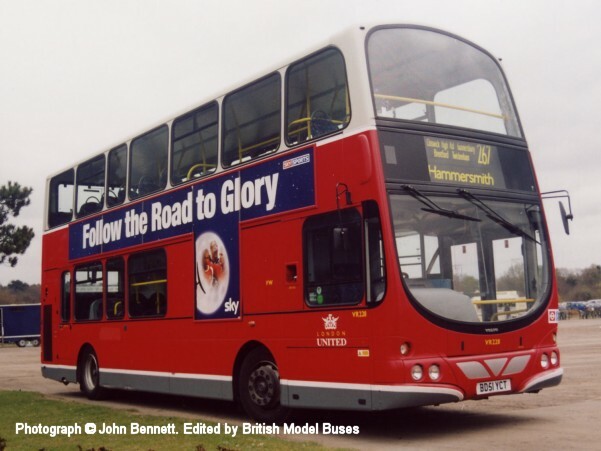 This photograph was taken at Showbus 2001 on 23 September 2001 and shows the nearside view of fleet number VLW5 (LJ51DJO). 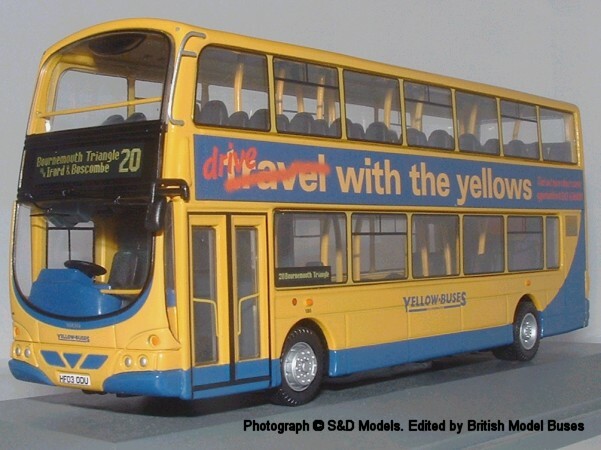 This vehicle is similar to VLW80 (LF52 USU) as represented by Corgi OOC model OM41202. 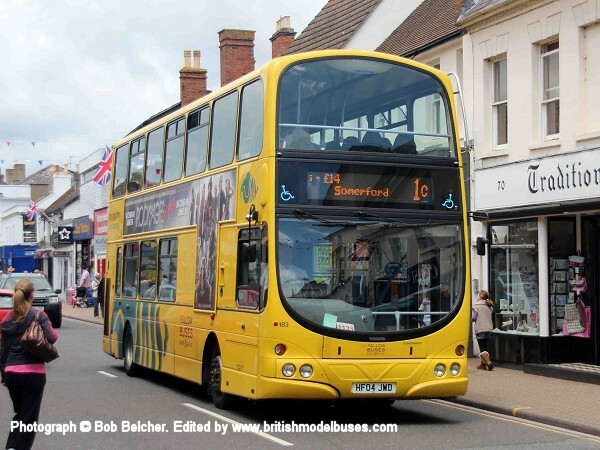 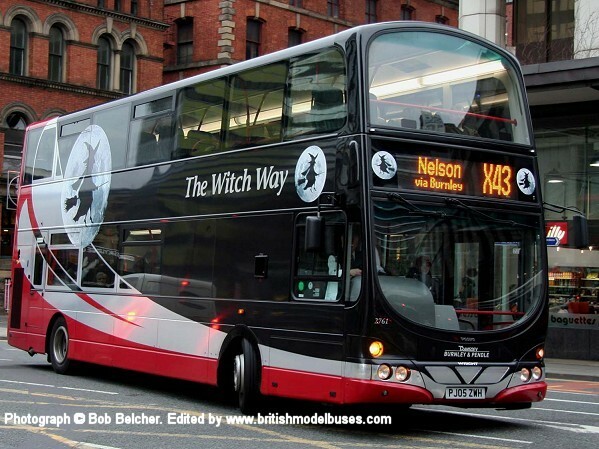 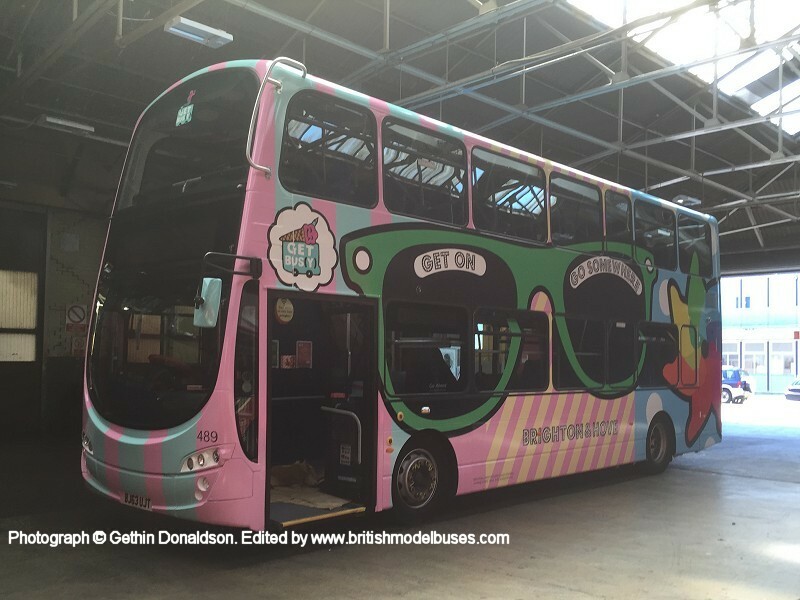 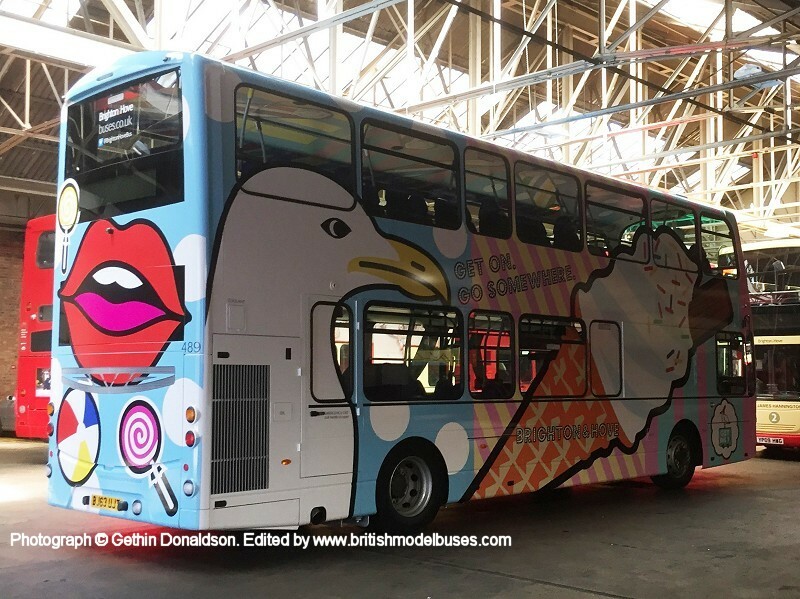 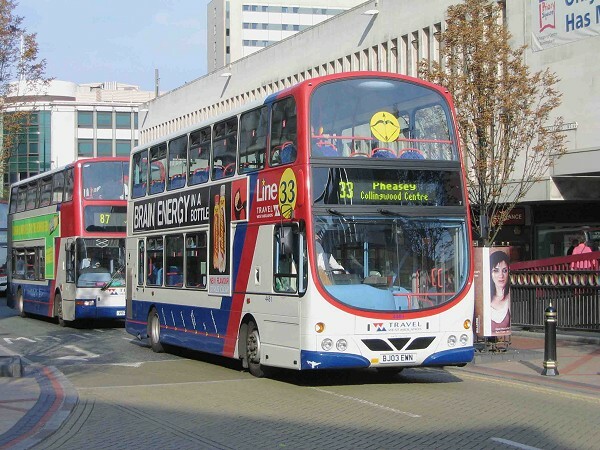 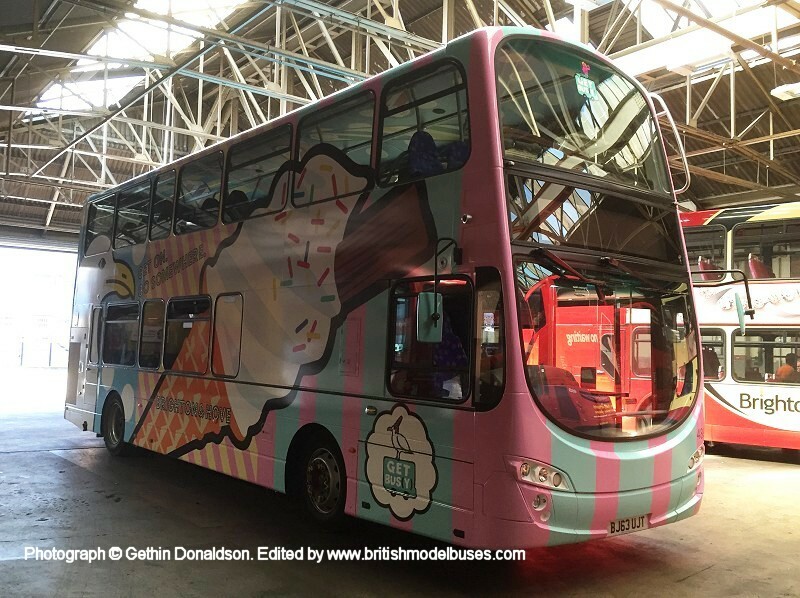 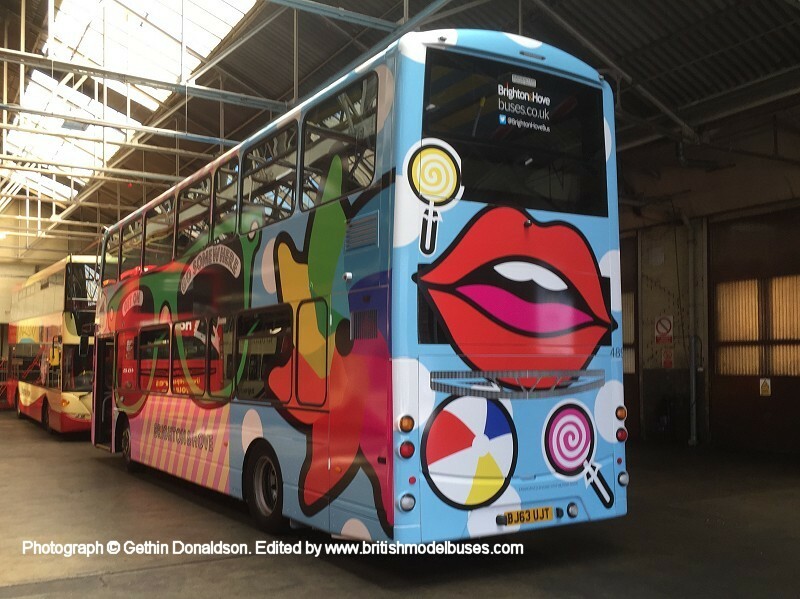 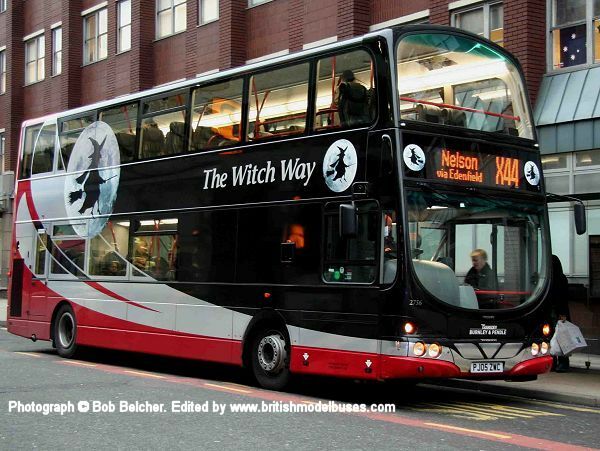 This photograph was taken in Western Rd, Brighton on 16th April 2014 and shows fleet number 410 (BJ11XHL). 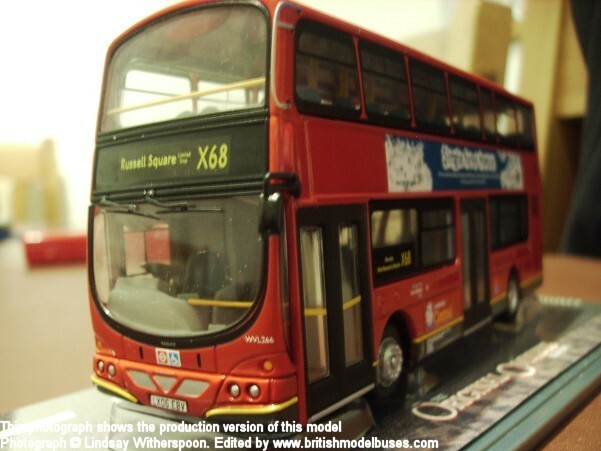 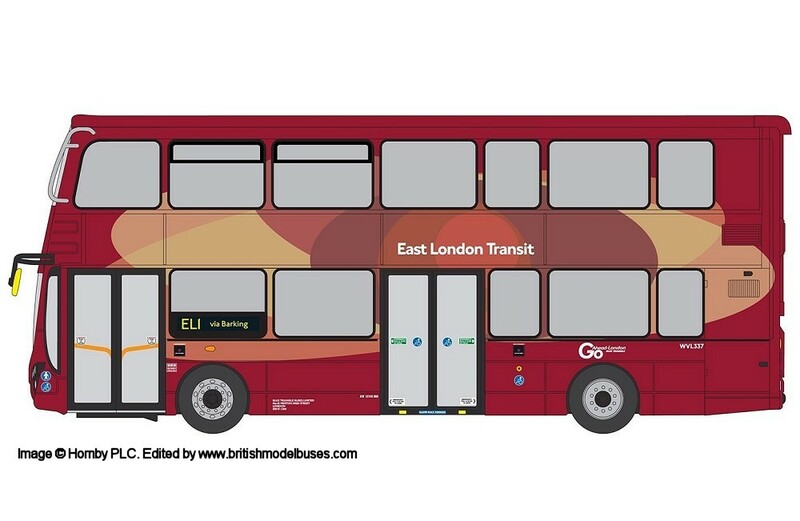 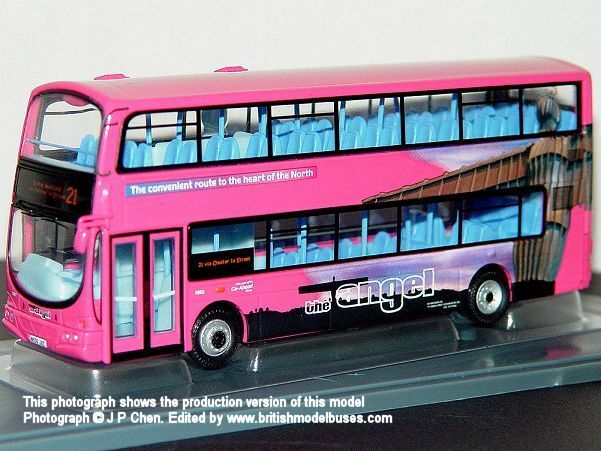 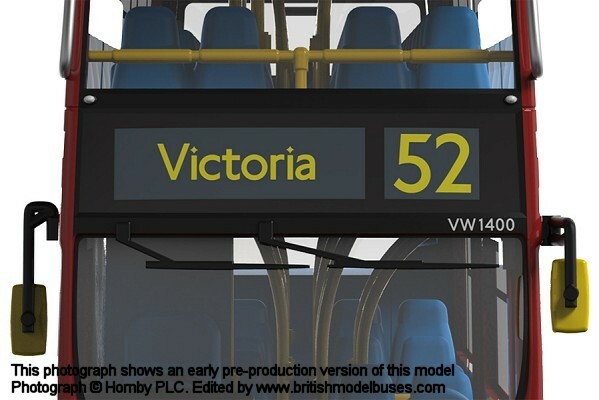 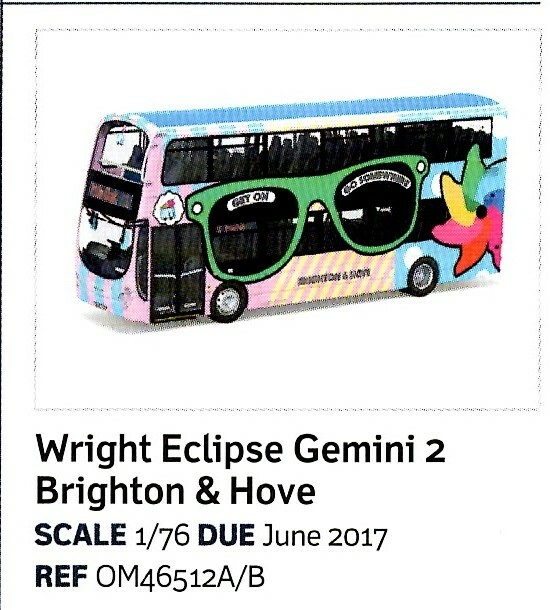 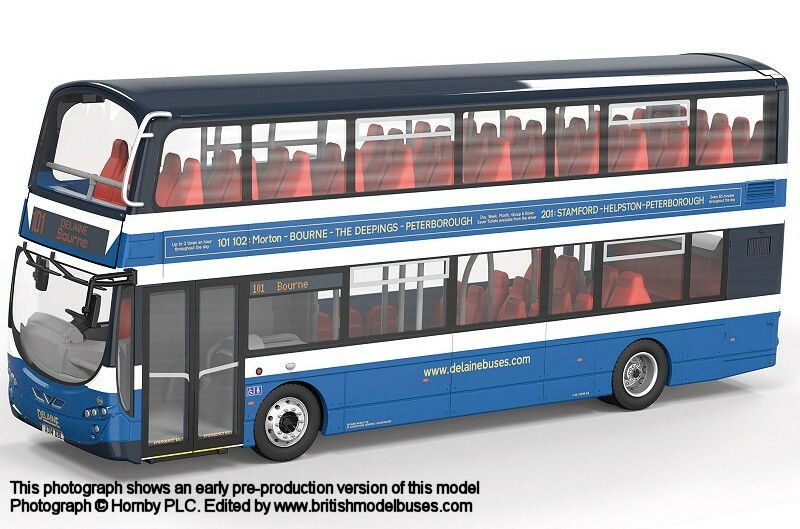 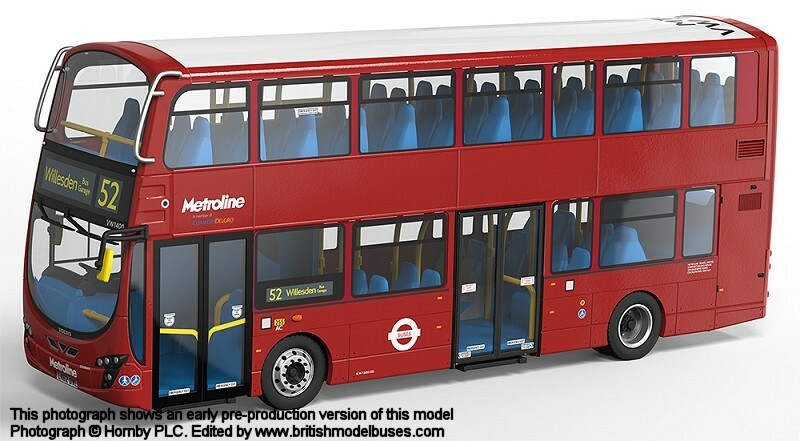 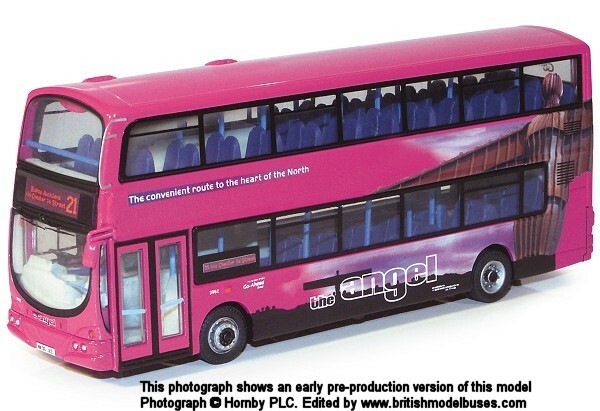 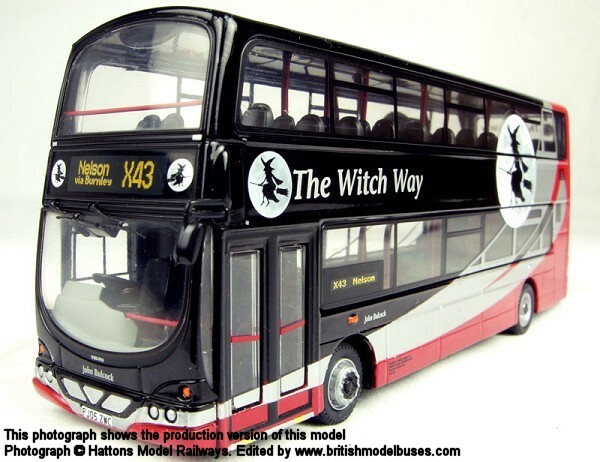 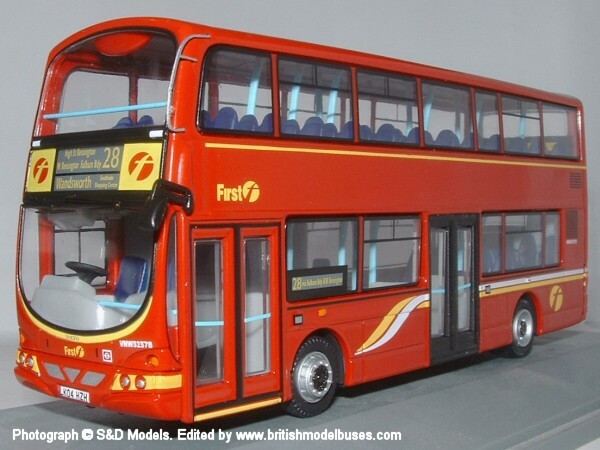 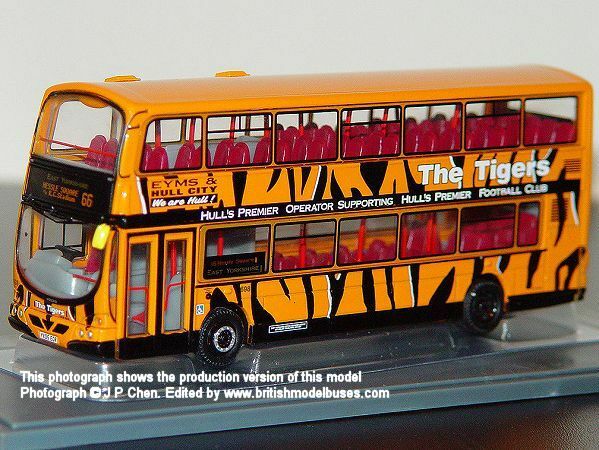 This is the actual vehicle represented by Corgi OOC models OM46502 A&B, although it is photographed displaying Route 49 branding rather than Route 7 as represented on the models. 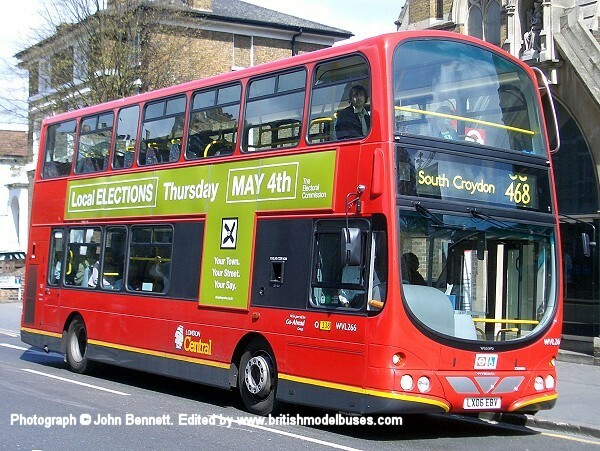 This photograph was also taken in Western Rd, Brighton on 16th April 2014. 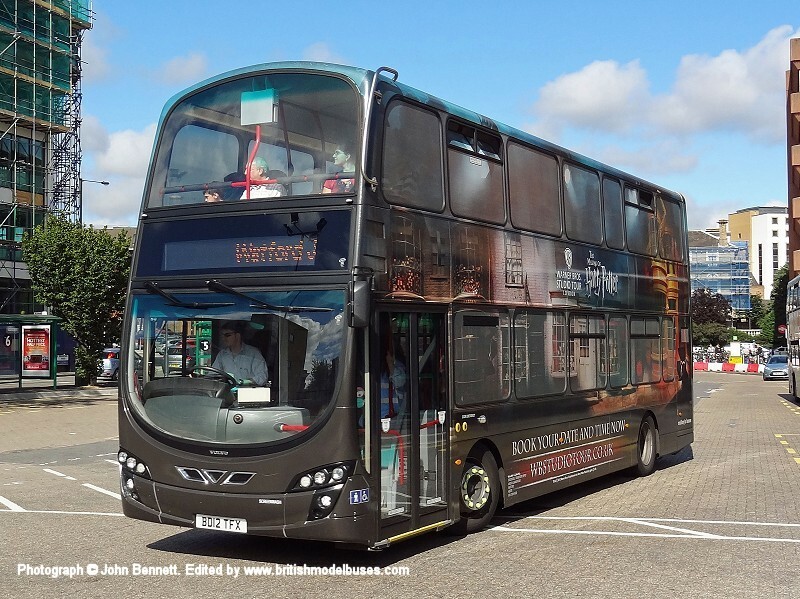 This photograph was taken on Sunday 31st August 2014 at the Buses 2014 Festival, Heritage Motor Centre, Gaydon and shows fleet number 156 (AD14DBL). 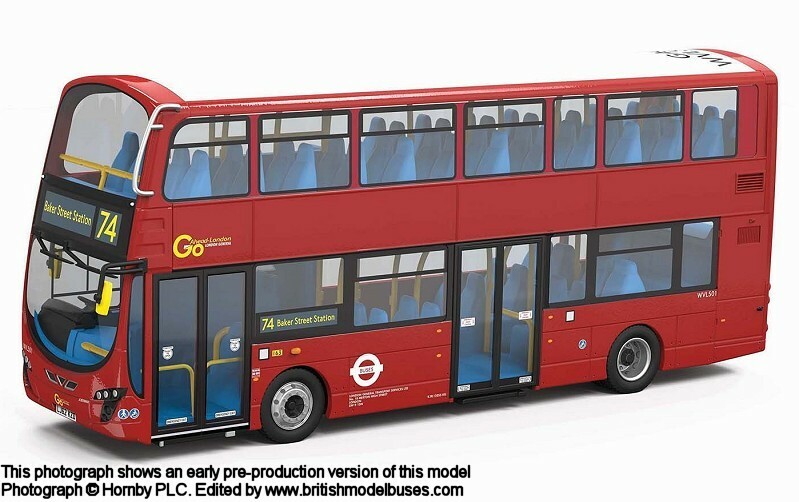 This is the actual vehicle represented by Corgi OOC models OM46507A & OM46507B. 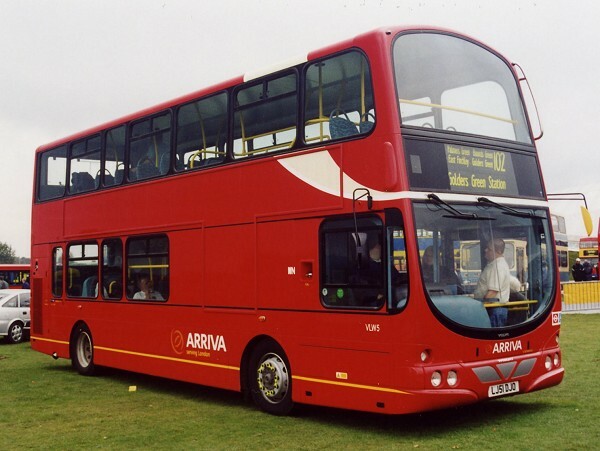 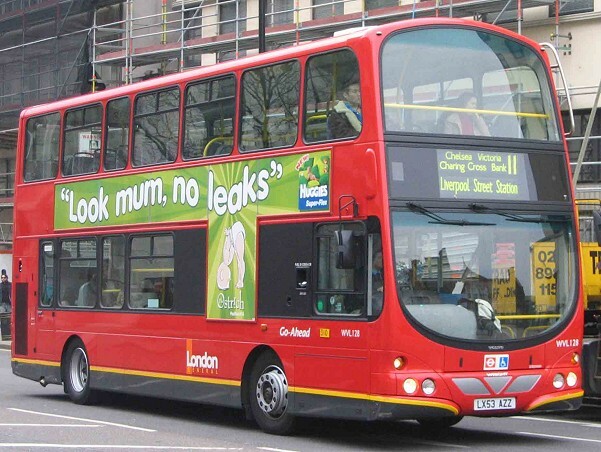 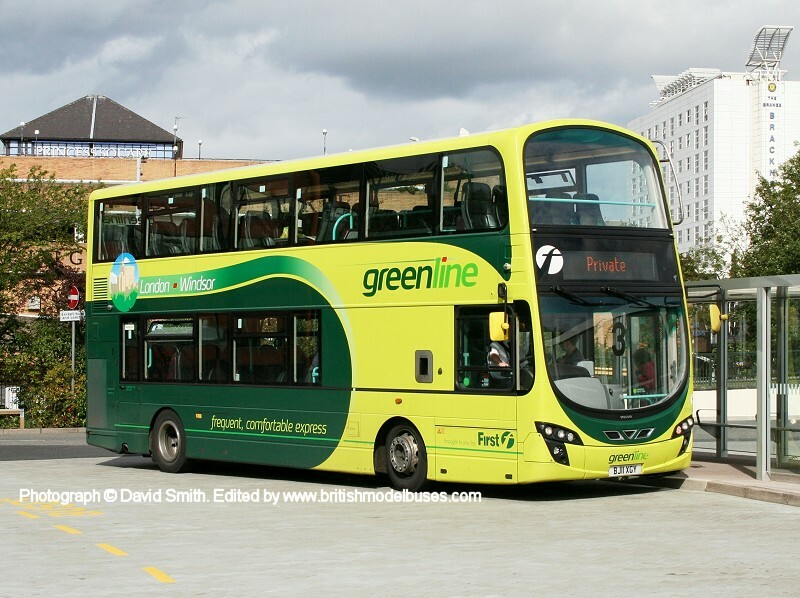 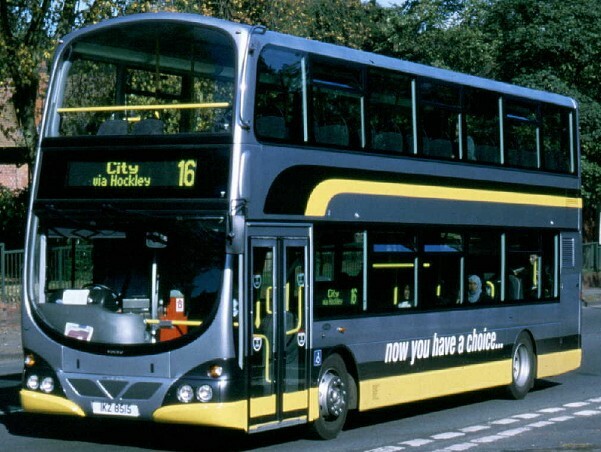 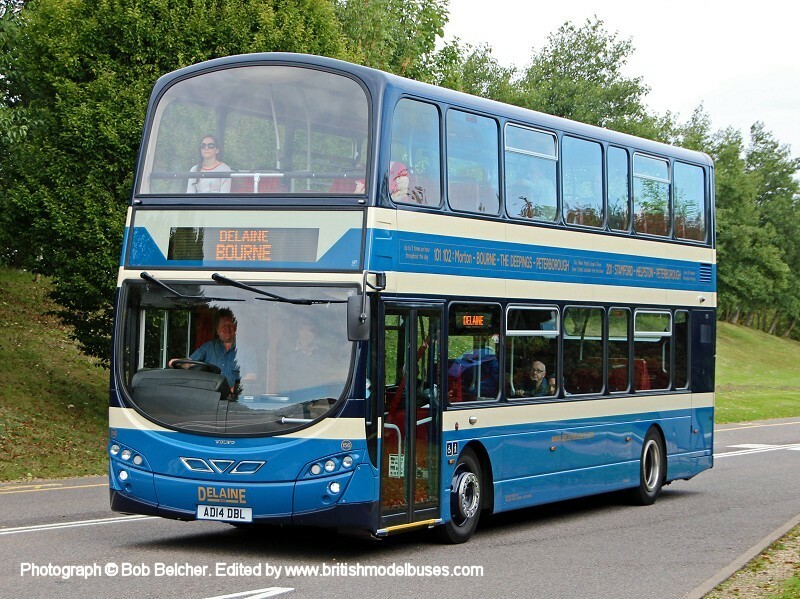 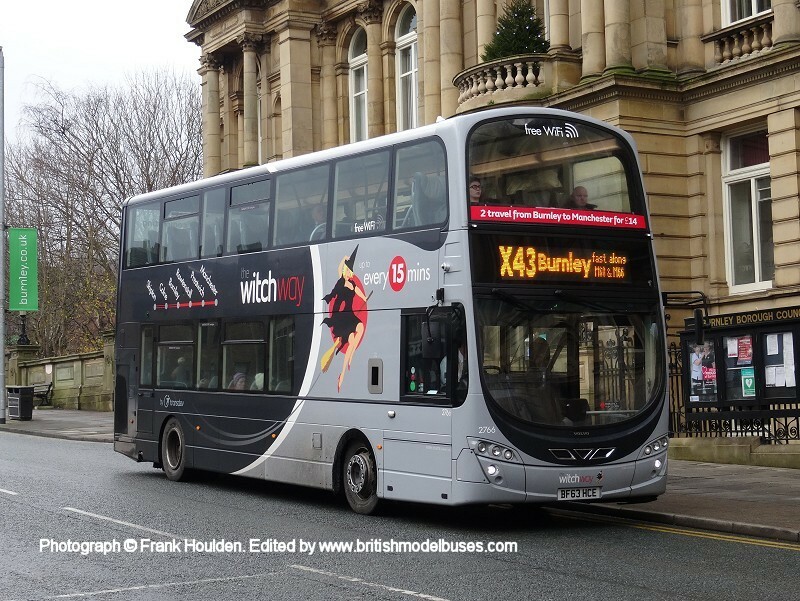 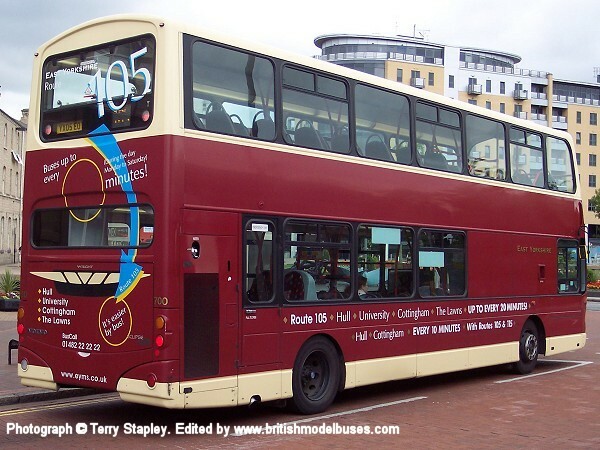 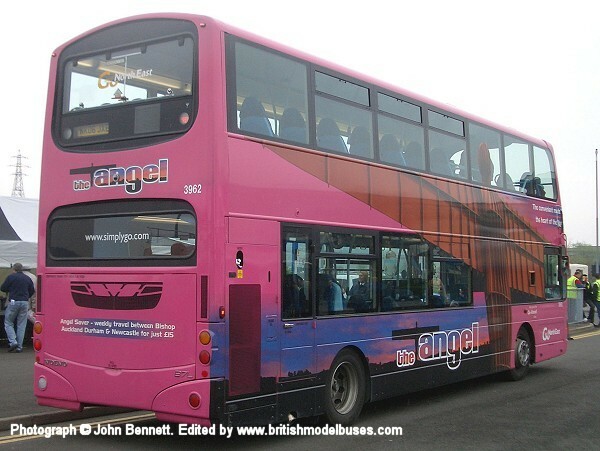 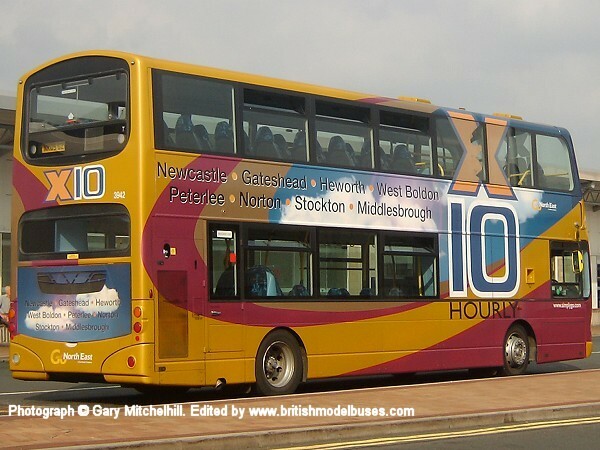 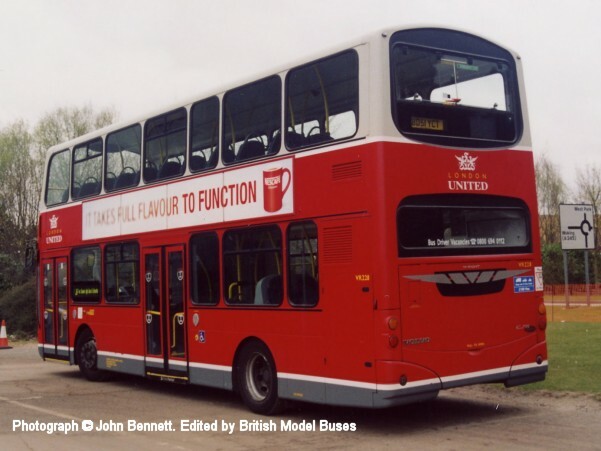 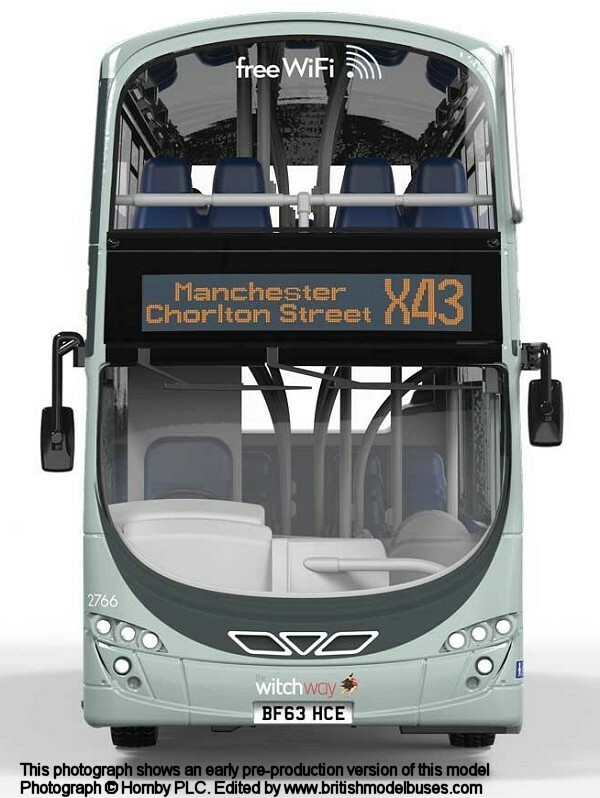 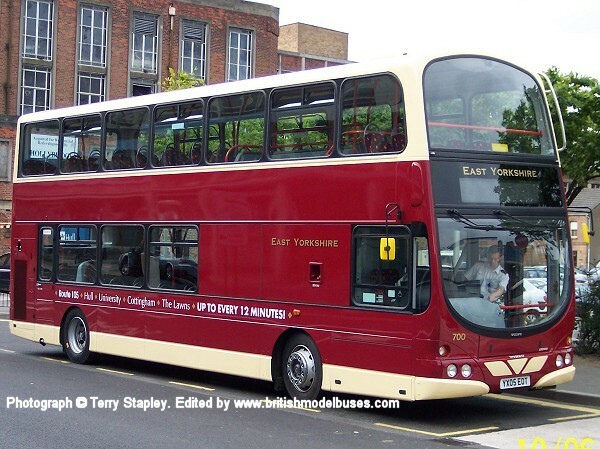 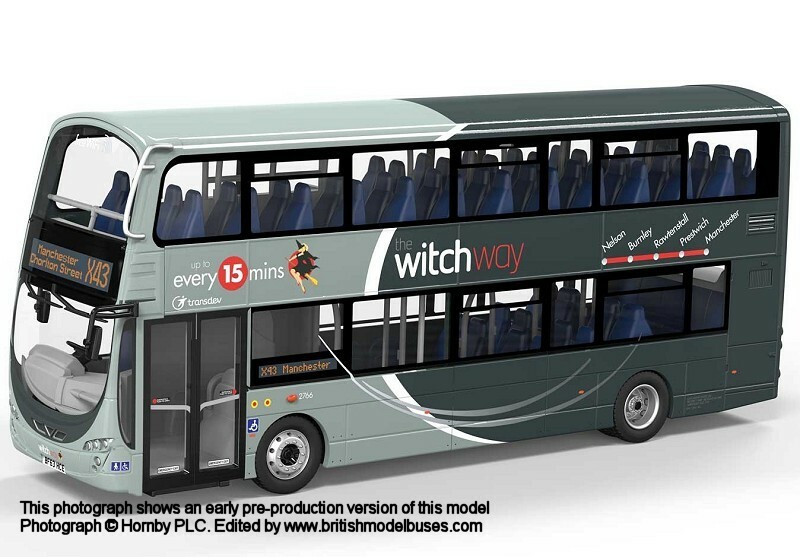 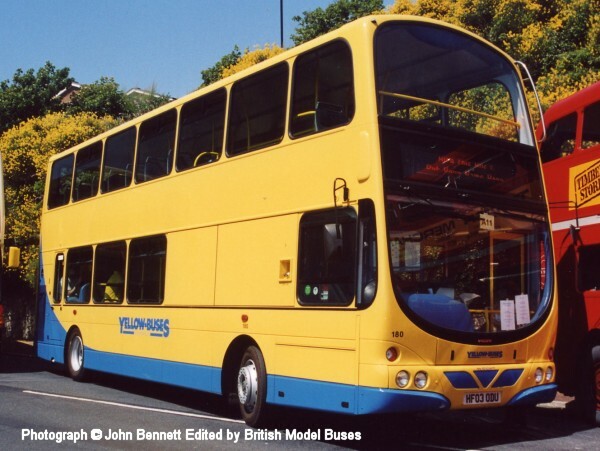 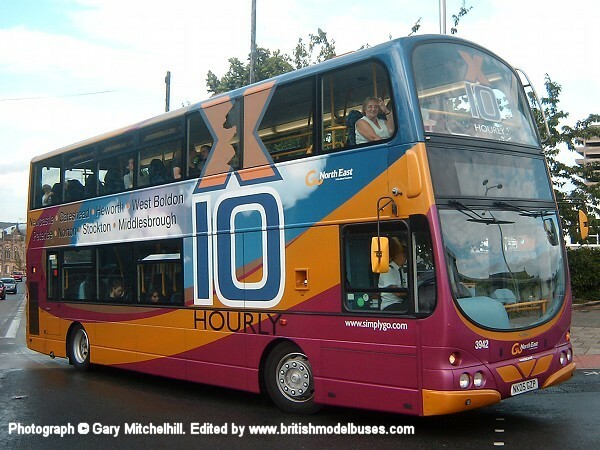 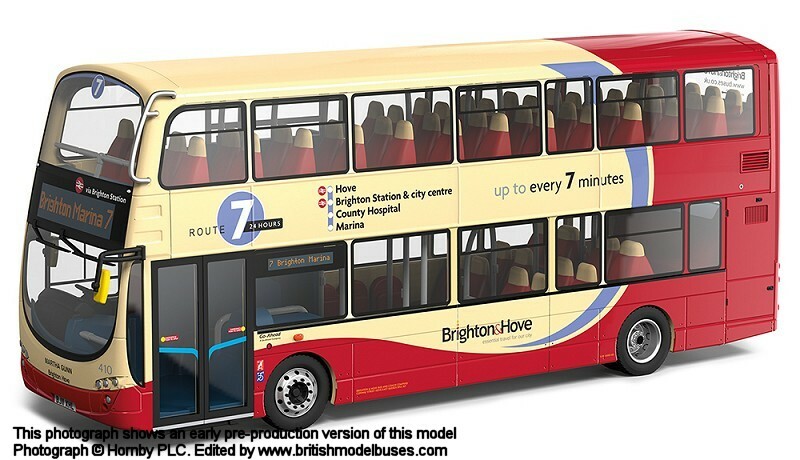 This photograph also shows fleet number 700 (YX05EOT) this time with the revised branding for route 105. 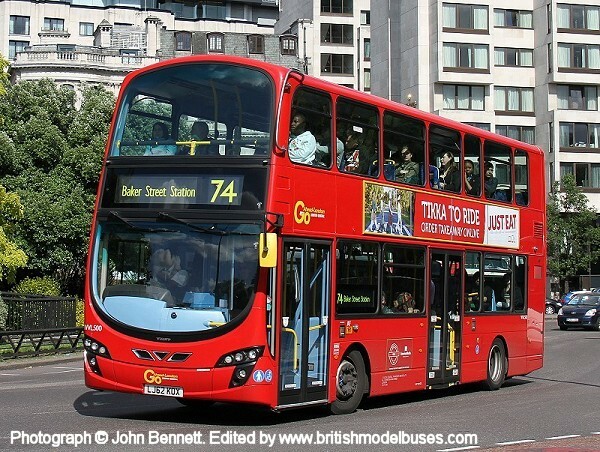 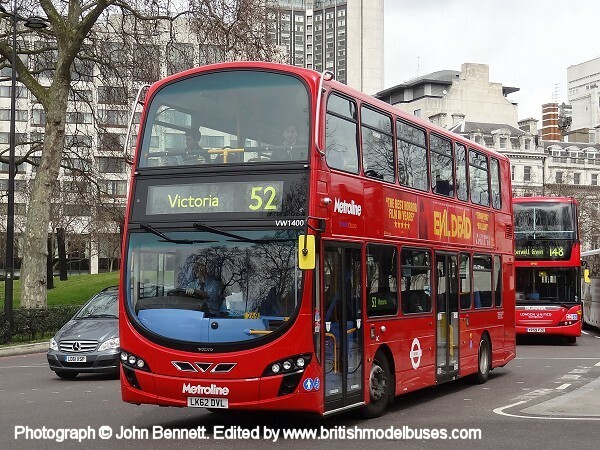 This photograph was taken on 5th June 2014 in Park Lane by Queen Elizabeth Gates and shows fleet number WVL500 (LJ62KOX) on route 74 to Baker Street Station. 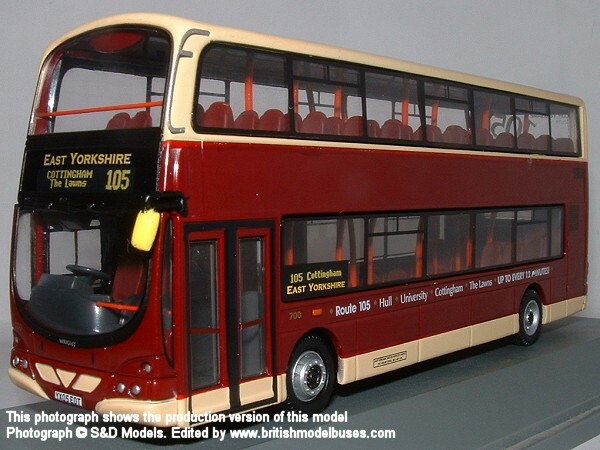 This is a sister vehicle to fleet number WVL501 as represented by Corgi OOC model OM46503. 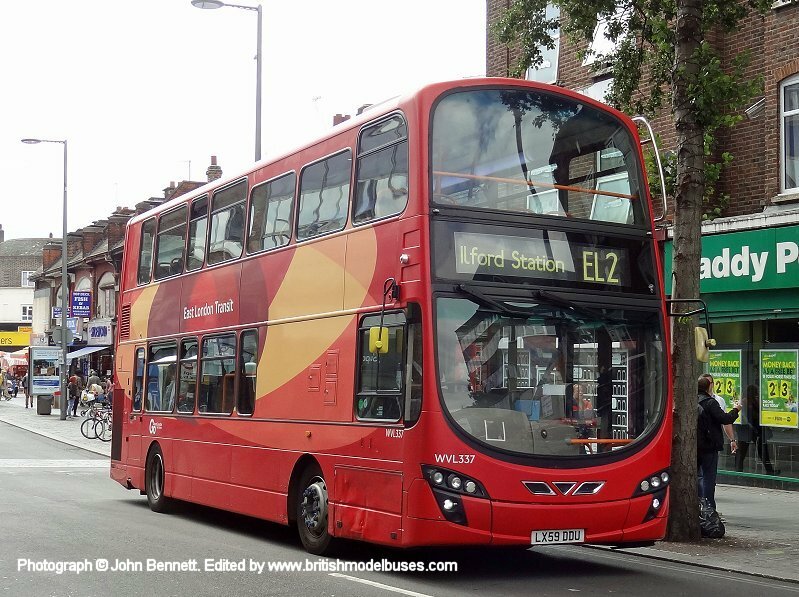 This photograph was taken in Station Parade, Barking on 30th July 2015 and shows fleet number WVL337 (LX59DDU) on route EL2 to Ilford Station. 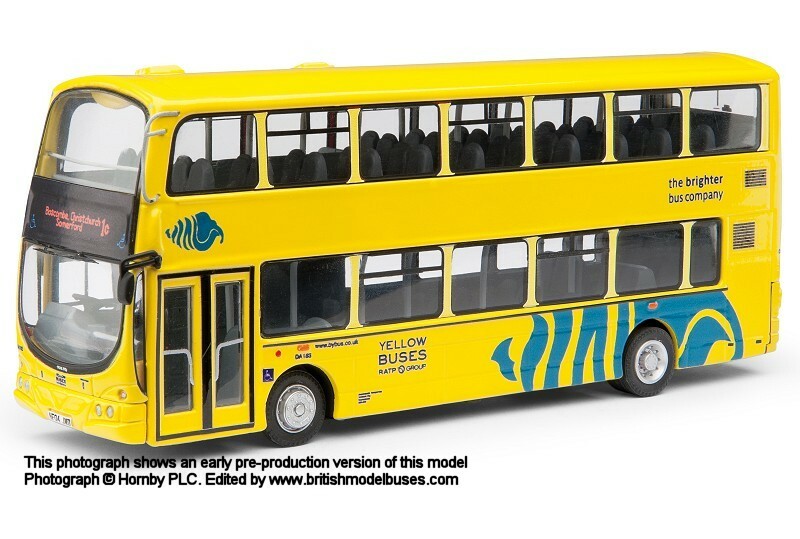 This is the actual vehicle represented by Corgi OOC models OM46514A & OM46514B. 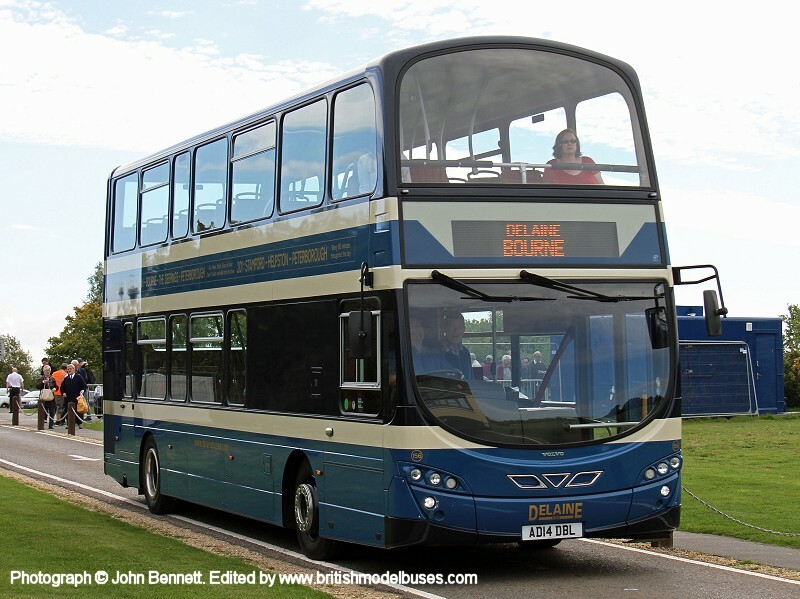 This photograph was taken in the coach park of the Gateshead MetroCentre on Sunday 4th May 2008 and shows the rear offside view of the above. 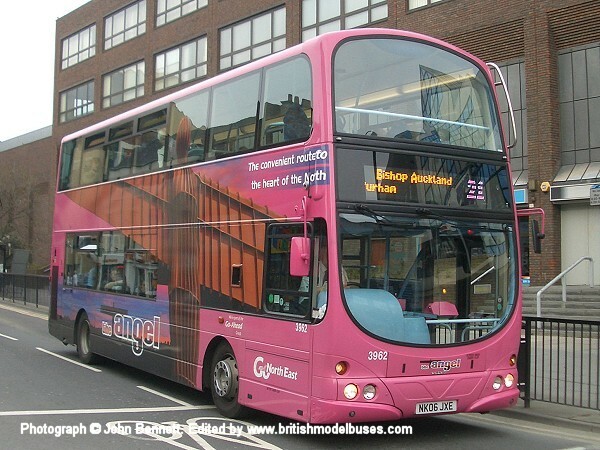 This photograph was taken in Blackett Street, Newcastle on Saturday 3rd May 2008 and shows fleet number 3965 (NK06JXB). 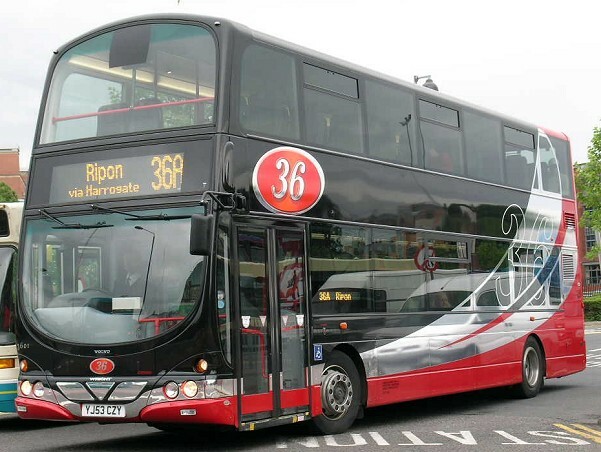 This is a sister vehicle to 3962 as shown above. 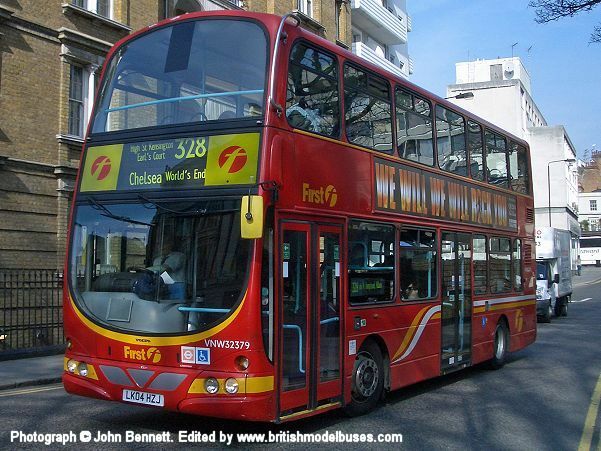 This photograph was taken outside St. Mary's Catholic Church, Wellesley Road, West Croydon on Friday 28th April 2006 and shows fleet number WVL266 (LX06EBV). 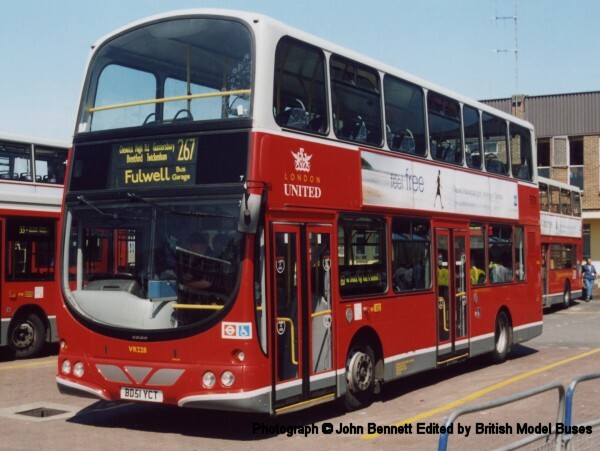 This photograph taken at Fulwell Bus Garage on Saturday 2nd August 2003 shows fleet number VR228 (BD51YCT). 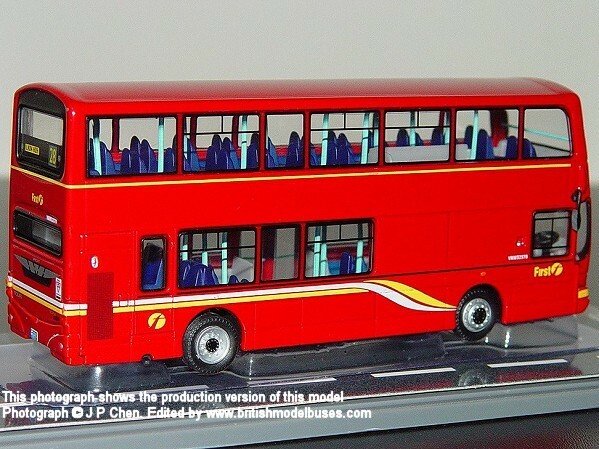 This is the actual vehicle as represented by Corgi OOC model OM41208. 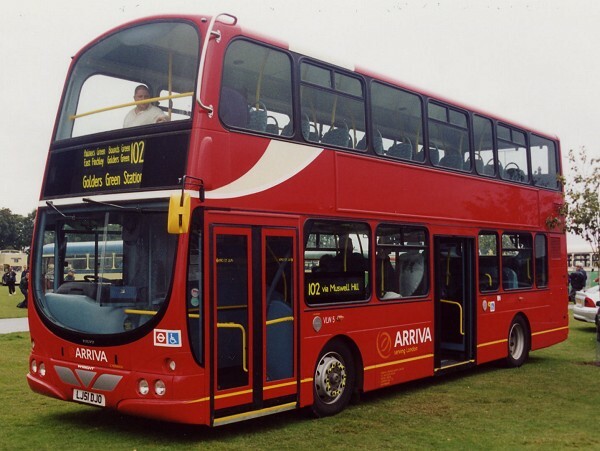 This photograph taken at Brooklands Runway on 6 April 2003 shows the offside view of the above. 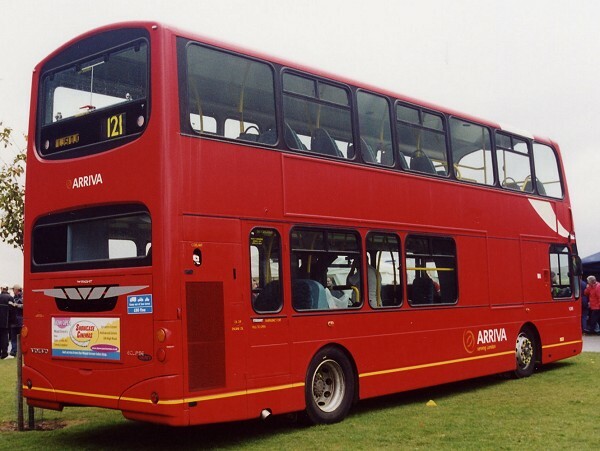 This photograph also taken at Brooklands Runway on 6 April 2003 shows the rear view of the above. 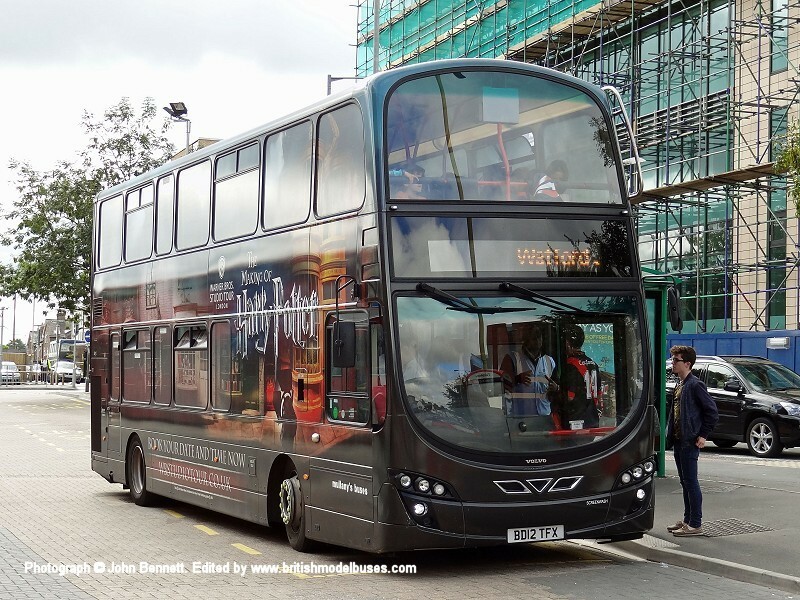 This photograph was taken at Duke of Wellington Place on 15th April 2013 and shows fleet number VW1400 (LK62DVL) on route 52 to Victoria. 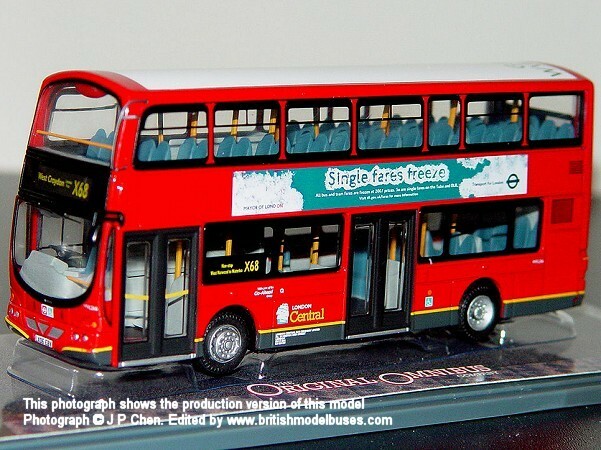 This is the actual vehicle and route represented by Corgi OOC model OM46501B. 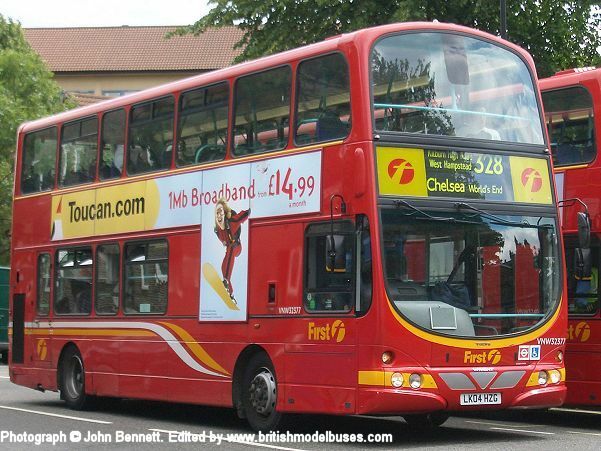 Photograph 1 CLICK HERE, photograph 2 CLICK HERE.